Learning the ABCs, 123s and VIPS has never been more fun than with our colorful baby flash cards. Children soak up knowledge like a sponge from age 2 on up, and our baby flash cards encourage positive learning in a fun and exciting way. Customize our baby flash cards with your own photos of loved ones, family pets, beloved toys, foods, objects or anything else baby loves. These multi-colored cards are 8 inches by 4 inches and printed on ultra-thick, ultra white premium paper made to stand up to baby's use. Personalize baby flash cards with 27 of your favorite photos to not only add to the fun but hold baby's interest to enhance learning. 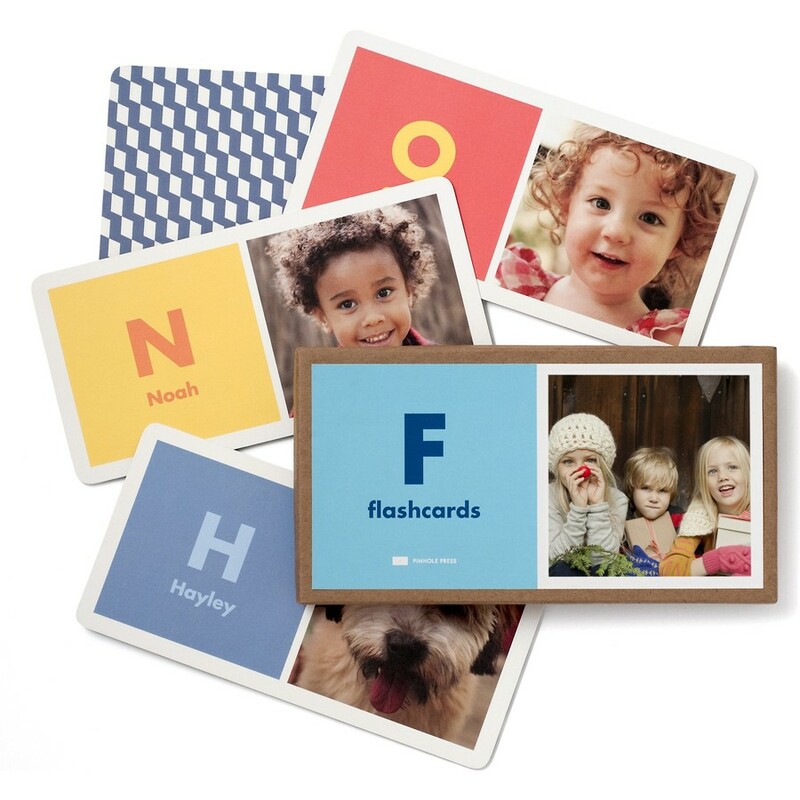 Baby flash cards make great gifts for the little ones in your life. Order two sets, one for home and one for Grandma and Grandpa's house to keep your little on the road to learning. Help your child learn their ABCs, 123s and VIPS with our colorful baby flash cards. These alphabet flash cards highlight loved ones, pets, beloved objects or whatever matters most to you. Pinhole Press Baby Flash Cards are certified by the Consumer Product Safety Commission and is recommended for children ages 2 and up.